Which Sunscreen SPF is Best and How Much Should You Use? It’s summertime so sunscreen usage is in full swing and every bottle has a big SPF number on it. Most of us probably assume we know what those numbers mean higher numbers equal more protection, right? Well yes but also no, it’s a little more complicated. The interesting thing is that you probably don’t need more than SPF 30 or so because there are bigger things to worry about like whether you’re wearing enough sunscreen to really protect your skin. SPF stands for sun protection factor which is a measure of how much less of the dangerous ultraviolet radiation from the sun hits your skin with sunscreen on than without it. There are two types of ultraviolet light that can reach Earth’s surface called UVA and UVB. They have different energy levels and affect our bodies in slightly different ways. UVB is the main cause of sunburns and it’s directly linked to the development of skin cancers. 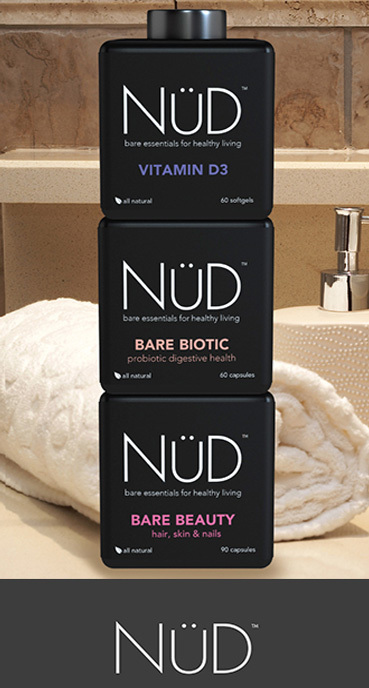 UVA leads to tans which happens when your body makes compounds to stop UVA from damaging too many skin cells. In the United states, SPF is only calculated based on how much UVB gets blocked since we really only knew about UVB’s risks when making the standards so if you wear SPF 30 the general idea is that your skin absorbs about 30 times less UVB than it would without sunscreen. There is a more ambiguous term these days that you should also look for on the bottles called “Broad Spectrum” as that indentifies whether or not the sunscreen addresses UVA. The chemicals in sunscreen absorb or reflect the radiation to block it from getting into your cells and this roughly translates to SPF 30 blocking 96.7% of UVB. 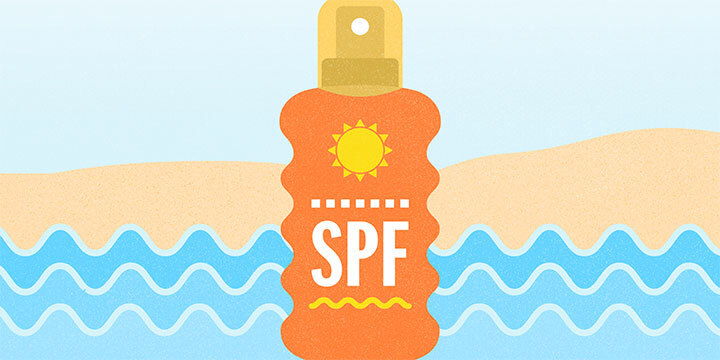 If you wear SPF 40 your skin absorbs 40 times less so it blocks around 97.5% of UVB and even when you get up to SPF 100 that only blocks around to 99% of UVB. That’s not much of a difference to spend more money on the higher ratings so most people get no added benefit from wearing anything above SPF 50. How Much Sunscreen Should You Use? and even the best waterproof stuff still breaks down or rubs off after a couple of hours. It’s recommend by experts to reapply sunscreen every two hours regardless of its SPF rating and to cover all skin that is not covered by clothing. However, not all clothing protects as well as others from UV rays. Some of the things people do to keep themselves from getting burned aren’t nearly as effective as you might think and long-term, some can be more dangerous than just wearing enough sunscreen in the first place. Tan lines might give you the impression that all clothes are perfect sun blockers but even though some clothes are better than the best sunscreens, others don’t do very much at all. Sunburn and tans are both caused by the sun’s ultraviolet light interacting with and damaging your skin in different ways with some materials are better at blocking UV than others. Jeans are practically perfect for sun protection as they block about 99.94% of UV, which means you’d have to wear an SPF 1700 broad-spectrum sunscreen to do any better. Jeans are made of thick, tightly-woven fabric so they happen to be especially good at blocking UV. In general, most fabrics made with shiny, synthetic, or tightly-woven fibers provide lots of UV protection. Polyesters, plastics, and nylons all generally block at least 98% of UV light, which makes them at least as good as SPF 50 sunscreen. On the other end of the spectrum, clothing like white cotton shirts don’t block more than about 75% of UV essentially making them no better than about SPF 5. Which means that if you wear sunscreen on any exposed skin, even if it’s just SPF 10, the skin under a white cotton t-shirt can burn before the rest of you does. Another surprising thing is you can get sun damage through glass. Regular glass blocks UVB, the more energetic kind of light that mainly causes sunburns and certain kinds of skin cancer. So you’re mostly safe from sunburns behind a window but that’s about where the good news ends, because UVA, the less energetic type of UV, can pass through glass. UVA causes tans, where your body releases a light-absorbing chemical called melanin to stop the UVA from doing more damage to your skin cells. The melanin is what darkens your skin but the cell damage from UVA can also lead to skin aging, cataracts, and cancer. So even though you won’t get burned through glass, you’re still at risk. Glass can be treated so that it also blocks UVA but in a car, the windshield is often the only glass given the full UVA treatment. Tinted windows can also help a bit, but they’re not always as helpful as just wearing regular sunscreen if you’re going for a long drive and especially use sunscreen if you’re like me and keep your arm out the window. Tanning salons make tons of money convincing customers that tanning before going out in the sun will keep their skin safer for longer without any additional risks. Tanned skin will take longer to burn, so that’s partially true, but it’s completely untrue that tans don’t carry their own risks. Darker skin has more melanin, so it’ll absorb more UVB light and help protect against some of the damage that would eventually cause a sunburn but you can still get burned with a tan; it just happens more slowly. A “base tan” offers a tiny increase in sun protection in exchange you get exposure to lots of skin-aging, eye-damaging, immune-suppressing, cancer-causing UVA while your body was building up melanin. Which is why indoor tanning in the United States is linked to about 400,000 cancer cases annually! Are you using enough sunscreen and which SPF are you using? Tell us in the comments below. If you found this article useful please consider sharing it on Facebook, Twitter, Instagram, and all that good stuff. Are You Suffering From a Vitamin Deficiency?